Why Do We Work in Nigeria? With over 175,000,000 people, Nigeria is the most populous country in Africa. It boasts an abundance of natural resources and is home to nearly 250 different ethnic groups. 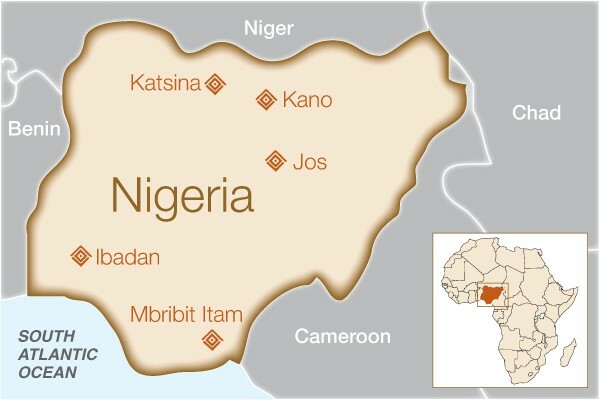 Despite its wealth in culture and resources, Nigeria’s health indicators are shockingly poor – it has the world’s highest rate of HIV/AIDS-related deaths as well as high rates of maternal and infant mortality and a low life expectancy. Regional conflict and instability, increasing poverty (particularly in rural areas), and internal displacement have further hindered access to healthcare in the country, especially for women. 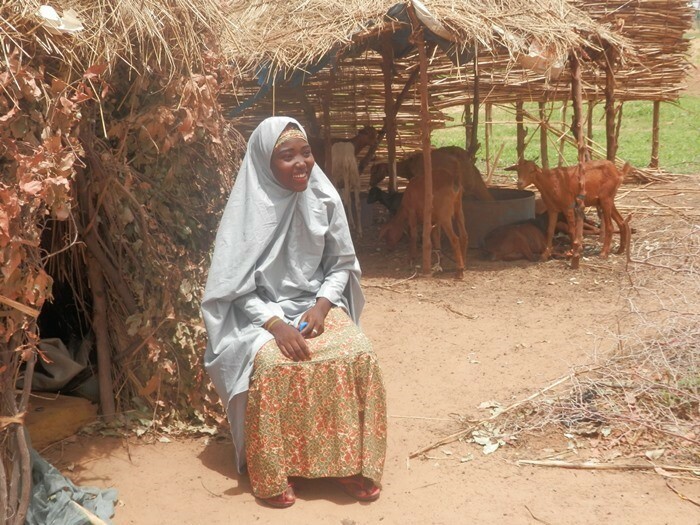 Nigeria has the world’s highest burden of obstetric fistula, so increasing the capacity for treatment is crucial. How will this help women in Nigeria? Before we began funding the Evangel Vesico-Vaginal Fistula Center (EVFC), they had the capacity to perform fistula surgeries but did not have sufficient funding to perform the surgeries at no cost to patients. This limited the number of surgeries they could do each year, as most women cannot afford the cost of treatment or even the cost of transportation to and from the center. EVFC is now able to perform surgeries free of charge and offer physiotherapy, psychological counseling, health and nutrition classes, and a post-surgery skills acquisition program. In 2015, funding from Fistula Foundation supported surgeries for 313 fistula patients, as well as extensive community outreach and patient screening/identification, and training opportunities for EVFC health care providers and surgeons. In 2016, an additional 263 surgeries for fistula patients were completed, as well as 102 healthcare providers trained during outreach, and 3 surgeons trained. The Family Life Center Fistula Hospital is run by Dr. Mary Molloy, an Irish missionary doctor who has devoted her life to helping women, particularly those suffering from fistula. In 2010, we funded a project at the hospital that supported treatment for 167 women and allowed for the purchase of basic equipment for the facility. A significant part of the project focused on community outreach and transportation, as lack of awareness and the cost of transportation to and from the center were identified as major barriers to treatment. As a FIGO (International Federation of Gynecology and Obstetrics) accredited surgeon training site, University College Hospital in Ibadan is a hub for fistula treatment and training. Our funding enabled upgrades to their equipment for fistula treatment, including a refurbished operating table, LED operating lamp with battery backup, a diathermy machine and assorted other items that will help surgeons continue to deliver high quality treatment. The Nigeria National Fistula Program is one of the largest fistula repair and surgeon training projects in the world, covering nine sites in Nigeria and four in neighboring Niger. Altogether, this accounts for over 600 beds in 13 facilities that perform approximately 2,500 fistula repair surgeries a year. The program’s lead surgeon, Dr. Kees Waaldijk, has performed over 20,000 fistula surgeries during the last 28 years and is considered one of the most experienced fistula surgeons in the world. Although the program is largely government funded, current streams of funding are not sufficient to ensure the continued, uninterrupted availability of fistula surgery throughout each of the 13 sites. Therefore, supplemental funding from Fistula Foundation is utilized to ensure the constant availability of high-quality surgery throughout the country and also supports the training of new surgeons. Fistula Foundation Nigeria (FFN) targets women who have undergone one or more unsuccessful fistula surgeries with the goal of helping them to become meaningful members of their communities again, despite their medical condition. Most of these women have highly complex fistulas that have been deemed ‘incurable’; they have often been abandoned by their communities and fallen into depression. Our funds are helping to: provide sensitization and outreach to garner support for women with incurable fistulas within their communities; help rehabilitate 100 incurable fistula patients with intensive skills training that offers them a pathway out of extreme poverty; disseminate information about obstetric fistula and maternal health; and advocate for better fistula services among key policymakers. Laure Fistula Center was established in 1987 and performs over 500 fistula repair surgeries a year, including many referrals from throughout Nigeria as well as neighboring countries. They were recently accredited by the International Federation of Gynecology and Obstetrics (FIGO) as an official fistula surgery training site; however, much of their equipment had been in use since its inception and was therefore not in optimal condition. Funding from Fistula Foundation allowed the center to purchase much-needed new equipment and medical supplies in order to provide the highest quality of patient care and surgeon training possible. Similarly, the Babbar Ruga National Obstetric Fistula Center is a key fistula repair and referral site in Nigeria that had been operating for several years with outdated equipment. Funding from Fistula Foundation recently allowed them to purchase new medical supplies and equipment such as a new operating room table, surgical instruments and lighting. 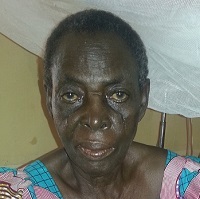 72 year old Aidah lived with obstetric fistula for an astounding 41 years before accessing treatment at Evangel Vesico-Vaginal Fistula Center in Jos. Her family stuck by her side the entire time, and recounted to hospital staff how fistula severely limited her (and their) opportunities and success in life.